we could get started, the Indians had gained some six miles. My first impression was they were the Apaches from the Gila, and thought that by going up the river, I could intercept them at the crossing; but Mexicans all saying that they had gone in the direction of San Diego, I was induced to follow directly in their trail. Some six or seven miles from the garrison we found the bueyada [stolen herd of cattle], which the Indians, seeing themselves closely pursued, had left. After spurring the animals, going on fifteen miles further, we were evidently gaining on the Indians. I ascertained that my first impressions were correct, and the Indians were endeavoring to reach the river. Here I divided my command, and, sending about twenty-five of the men who were best mounted with Lieutenant O—™Bannon to follow on their trail of the Indians, and cut them off from the mountains, I took a more southerly route to come in between them and the river, and thus drive them upon the level plain of the Jornada, where I thought we could easily succeed in running them down. The result was, however, contrary to my expectations, and the Indians proved to be better mounted than we were; for, after riding more than forty miles at our best speed, we were obliged to give up the chase—”our horses being completely broken down, and the command so scattered that, at last, I had but six men left with me. Abandoning the chase, we espied two men standing by their horses, half way up a little rise, some half mile distant, and a herd of cattle grazing near. Supposing them to be Mexicans, we approached to within a few hundred yards, when to our surprise, they proved to be Indians, who jumped opon their horses and galloped up the hill, beckoning us to follow. WE did so as fast as our wearied animals would permit; but, arriving at the top of th rise, we saw . . . some thirty or forty warriors, all mounted on their horses, and cursing us in bad Spanish, call us to come over and fight them. As I did not chose to do this with the few men I had, I dismounted my party and made arrangements to defend myself if attacked; at the same time building a fire, in the hope that the smoke might bring Lieutenant O—™Bannon—™s party to my assistance, when we would be able to give them a fight. Remaining here an hour and a half, [resting] my horses, I then returned to this place, which I reached at 9 o—™clock P.M., having ridden eighty miles. Lieutenant O—™Bannon, with his party, following directly in the trail of the Indians, gained upon them rapidly; but coming to a canon above the San Diego, he was obliged to dismount his men, to lead their horses down the rocky pass in single file: here the men mounted as they passed through it, and continued the chase; four of the first though, who were best mounted, were close upon the heels of the Indians, and one man, private Teagardin, company H, 1st Dragoons, came up with a party of eight who were thrown out as a rear guard. Wounding one of them with his [Hall carbine], three of the others turned upon him and attacked him with theirlances: he, however, succeeded in parrying them with his saber—”receiving only a slight scratch in his back; when, perceiving the command closing upon them, two fired on him,–one shooting him through the thigh, severely fracturing the bone. I must take this opportunity to urge upon the commanding officer of this department the necessity of arming Company H with Colt—™s revolvers. Had this man had one of these weapons, he would probably have killed several of these Indians. 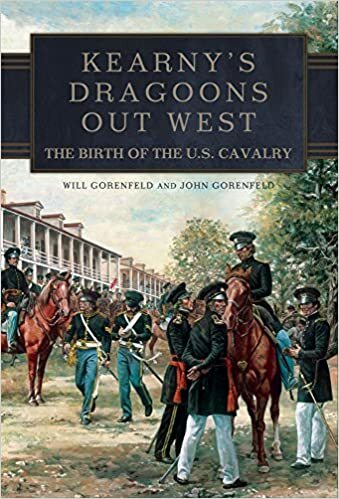 I should have mentioned that before the Indians turned, the other three dragoons had closed in and exchanged fire, wounding two other Indians. The whole command had now passed through the canon, and here ensued a most exciting scene. The Indians in full sight, not more than a mile and a half in advance, on a level plain, and the dragoons in hot pursuit,–both parties at the top of their speed; and thus the chase was continued for thirty miles, until the horses were completely broken down.—”Towards the last, the Indians were to be seen throwing away blankets, provisions, and everything but their arms, rendering themselves as light as possible. Lieutenant O—™Bannon, in returning, fell in with another small party of Indians, mounted on fresh horses and driving more with them. From the fatigued condition of his animals, they easily escaped him. Three of my best horses were left dead in the road. I can only say, the company, without exception, behaved admirably; and every possible effort, was made to overtake the Indians; and it was owing to our having run our horses over the first and most difficult part of the country, that we were unable to come up with them after getting upon the plain. On my return I was informed that, at about the time we started in pursuit another party of Indians came in at the lower side of town, near the river and driven off stock from there.—”This was probably the party I saw after watering. In connexion [sic] I would state that, on the 27th ult a party came in about sundown and stole two Mexican boys who were working in a field not a mile from the quarters and drove off some stock. At the same time another party came in, some four miles south west of us, and drove off twenty three head of oxen, the property of Mr. Beck. I cannot close this report without urging upon the commanding officerof the department the necessity of a campaign against these Indians as speedy as possible. 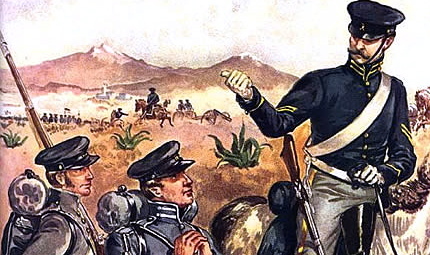 When Indians become so bold that they will come in broad daylight within a mile of a United States garrison, where dragoons are stationed, and drive off stock and murder defenceless herders, I think it becomes necessary to chastise them; this can only be done by a regularly organized campaign against them. When these Indians start on a marauding expedition they come mounted on their best horses, (which are equal to any of ours,) and at the same time have relays waiting for them at twenty-five or thirty miles—™ distance. They do their mischief and get off with several miles the start, come up with their relays and thus are mounted on fresh animals, and can snap their fingers at us, whose horses are broken down by the long chase. Thus; it is next to impossible for any dragoons to overtake them; and for this, I would suggest that a depot be selected at or near the Copper Mines; and that that point be established as the base of operations. Never would have thunk I would find this so idnipsensbale.